Update December 4, 2018: The Supreme Court denied certiorari in this case today. That means that the Second Circuit’s ruling will stand. We are disappointed that the Supreme Court did not fix the lower court’s error and hope that the decision does not lead to further erosion of fair use rights. EFF will continue to look for opportunities to defend fair uses, especially where services assist with important commentary and criticism. Debates about the media have become a big part of U.S. political discourse. Is the coverage on networks like Fox, CNN, or MSNBC accurate? Is it fair? Is it fake? The networks run 24/7, so analysts have to review a staggering volume of material to really answer these questions. That’s where a service like TVEyes, which creates a searchable database of broadcast content from thousands of television and radio stations, comes in. A recent decision from the Second Circuit found that some of TVEyes’ services are not fair use and infringe copyright. EFF has joined an amicus brief [PDF] urging the Supreme Court to review and overturn this decision. The case began when Fox News sued TVEyes in federal court in New York. Fox argued that TVEyes’ service infringes the copyright in its broadcasts. The district court issued two opinions. First, it wrote an encouraging ruling that found the TVEyes search engine and displays of clips are transformative and serve the new purpose of analysis and commentary. Later, the court issued a second decision that found some aspects of TVEyes’ service (such as allowing clips to be archived) are not fair use. Both sides then appealed to the Second Circuit. The Second Circuit found that TVEyes’ searchable database of video is not fair use and infringes Fox’s copyright. While we have criticized many aspects of this decision, one error stands out: its finding on market harm. 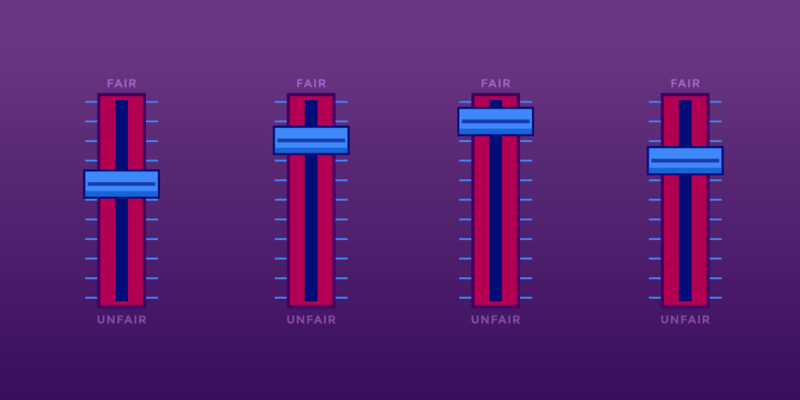 Fair use analysis considers four factors, with the final factor being potential harm to the market for the copyrighted work. This is an important issue in this case because Fox insists that it is suffering economic harm while TVEyes insists that Fox simply does not want to allow analysis and criticism. In our view, the undisputed facts strongly support TVEyes on the market harm factor. As the district court correctly noted, Fox requires those that license its content to agree that they will not use clips in a way that is derogatory or critical of Fox News. This means that Fox, by its own admission, has no interest in the market for criticism and analysis that TVEyes serves. Indeed, it wants to prohibit such uses. The Second Circuit did not even discuss these facts. Instead, it found market harm because TVEyes’ service generates revenue. This is improper. Courts have long recognized that market harm cannot be inferred simply because the defendant made some money. If that were the case, any commercial fair use would fail on the fourth factor. Our amicus brief argues that the Second Circuit’s decision conflicts with binding Supreme Court authority on this question. We hope the Supreme Court takes the case to correct this error. We thank the students and faculty at the Juelsgaard Intellectual Property and Innovation Clinic at Stanford Law School for their work on the brief. EFF was joined as an amicus by Brave New Films, Eric Alterman, Fairness and Accuracy in Reporting, the Internet Archive, the Organization for Transformative Works, Professor Rebecca Tushnet, and the Wikimedia Foundation.